About Us – Mountain Power, Inc.
Mountain Power represents Hawker-Powersource, a worldwide leader in battery and charger technology. Hawker-Powersource manufactures top of the line industrial batteries for the material handling industry, their expertise is highly regarded where it matters the most. They pioneered green High Frequency charging technology (1982) with the LifePlus, currently in its fourth generation. Hawker-Powersource lines include Water Less, Energy Plus, Powerline, Top Power, and Envirolink Battery Technology. 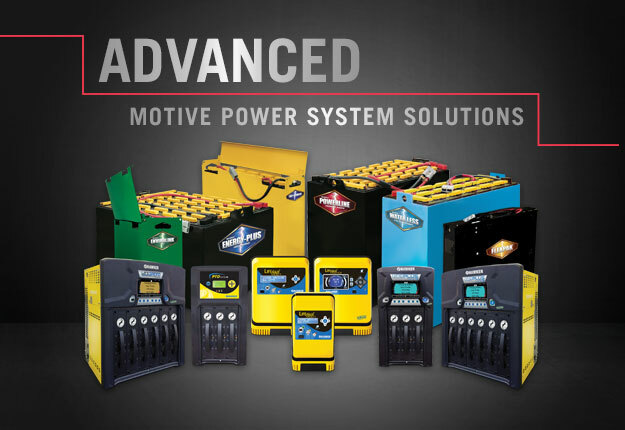 Mountain Power offers a full range of industrial battery support to its clients. We can provide you with energy savings information. Our “Up Time All The Time” philosophy keeps your business moving. We offer battery inspection, safety inspections, and battery safety products. We can provide products that meet many requirements, including solar, fast charge, high frequency, and motive power batteries. Whatever your needs from a series of six volt golf cart batteries to an entire UPS System, Mountain Power offers the capabilities and expertise you would expect from one of the world’s leading battery manufacturers. When you begin considering your power requirements, call Mountain Power to help determine your needs and battery options. With the most complete line of products, we sell the best industrial battery products for your company’s needs.